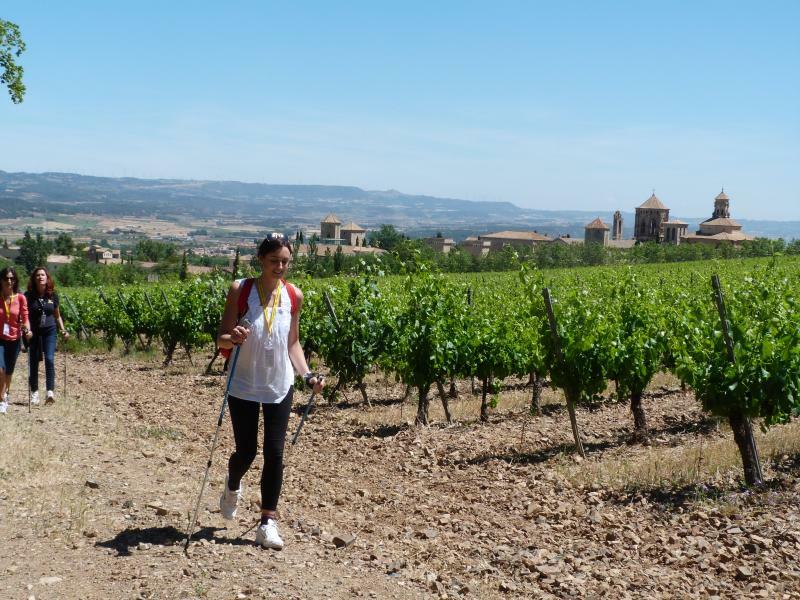 This walking holiday gives you the chance to really scratch below the surface, all within a short distance of the beautiful and historic city of Barcelona, you'll visit famous Cistercian Monasteries, you'll discover a land rich in culture, heritage, nature, wine and cava, celebrations and traditions, crafts and the rugged Catalan coast. Day 1: Arrive at Barcelona El Prat or Barcelona Reus Airport or Barcelona Centre where you will be transferred to your accommodation in Montblanc, once there you will have a welcome meeting with an local English speaking guide. 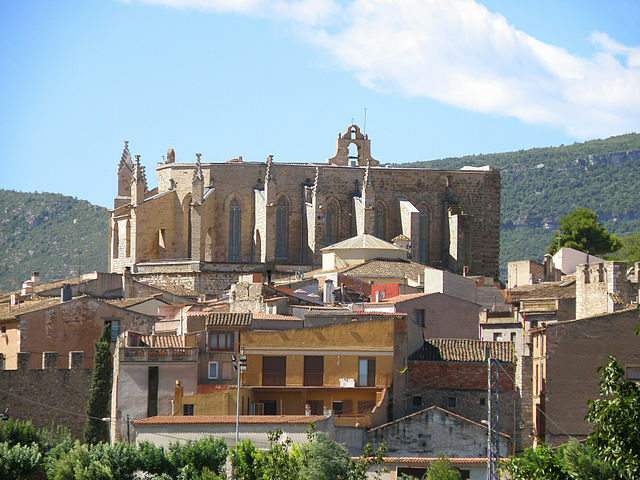 Montblanc is one of the most beautiful medieval towns in Catalonia, its ancient architecture, rich cultural and natural heritage make it the perfect place to start your Catalan Adventure. Accommodation: 3* Hotel, Montblanc. This wonderfully charming hotel has rustic features thanks to its careful renovation from a 19th-century home constructed of wood and stone. Escape to the Catalonian countryside in traditional style. Located in the centre of Montblanc, you will experience an authentic feel for this lovely village in the Catalonian countryside. Espluga de Francolì irrigated by the waters of the Rivers Milans and Francolí is a very popular tourist town in the interior of this province. 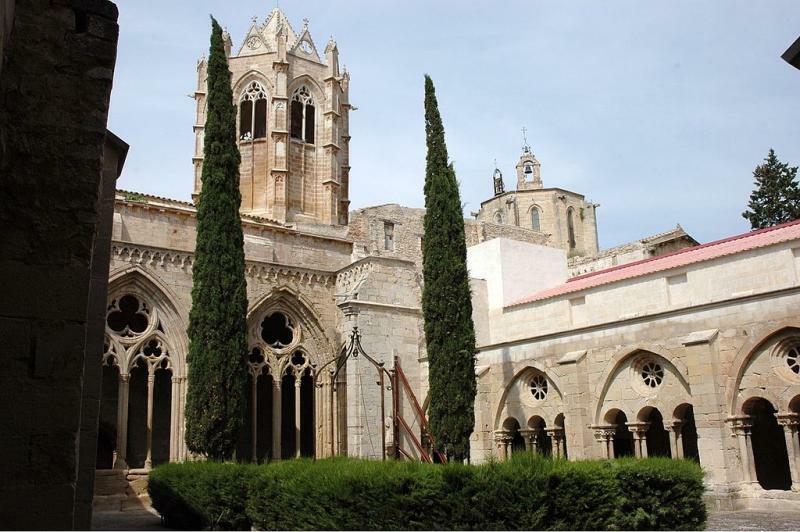 The incredible beauty of its natural surroundings and its closeness to the Poblet Monastery of have made this town a firm favourite with many tourists returning again and again. 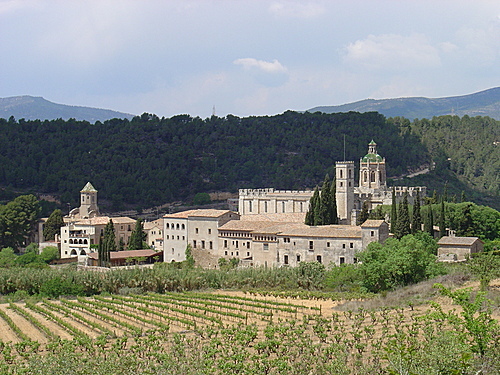 The Poblet Monastery is one of the largest in Spain. At its centre is a 12th-century church. This austere, majestic Monastery, which has a fortified royal residence and contains the pantheon of the kings of Catalonia and Aragon, is an impressive sight. Accommodation: 3* Farmhouse, Espluga de Francolí. This charming 14th-century farmhouse has a beautiful location just 1 km from the Poblet Monastery. It features an award-winning restaurant, air-conditioned rooms, and free internet. The rooms at the Masia del Cadet all have heating, a TV and a bathroom with hairdryer. The Masia’s restaurant serves regional and national dishes and has an excellent wine list. There is a separate bar and a lovely terrace-garden, for outdoor dining. Rocallaura is a small medieval village close to the beautiful Vallbona Monastery, for eight centuries the Monastery has been cared for by cistercian nuns, they have never left it since it was founded in the twelfth century. The tomb of Queen Violant of Hungary, the choir of the church where the nuns hold their prayers, its spectacular fine dome, the cloister, which blends romanic and gothic styles, the chapter-house with a statue of the Virgin of Mercy and the chapel where you can admire the Virgine of the cloister will not fail to impress you. Accommodation: Modern 4* Hotel, Rocallaura. Surrounded by a natural landscape of green mountains, this magnificent new spa hotel takes advantage of the thermal waters of its own spring to create an atmosphere of peaceful relaxation. The hotel was opened in 2009 following the careful completion of an impressive building dating from 1908. Nowadays it blends a tranquil, historic feel with state-of-the-art design and facilities. In the hotel spa you can unwind with the help of the natural spring waters, known for their beneficial properties. The on-site restaurant serves gourmet cuisine to enjoy during your stay. It specialises in delicious local Catalan dishes and offers amazing views of the surrounding scenery through its large windows. Monbriò is a small medieval village, the first historical reference dating back to 1186, there is a beautiful parish church dedicated to San Pedro and built in 1692. Accommodation: Rural Hotel, Montbrió. Your accommodation is a renovated 16th-century country house set in beautiful countryside. This rustic stone-walled hotel offers heated rooms with a TV. The private bathroom comes with a bath or shower, a hairdryer and toiletries. A continental breakfast is available at the hotel. The restaurant offers children’s menus, and you can request packed lunches and vegetarian and special diet menus. Guests can relax in the hotel’s charming lounge, which has a fireplace, TV and DVD player, as well as board games and books. 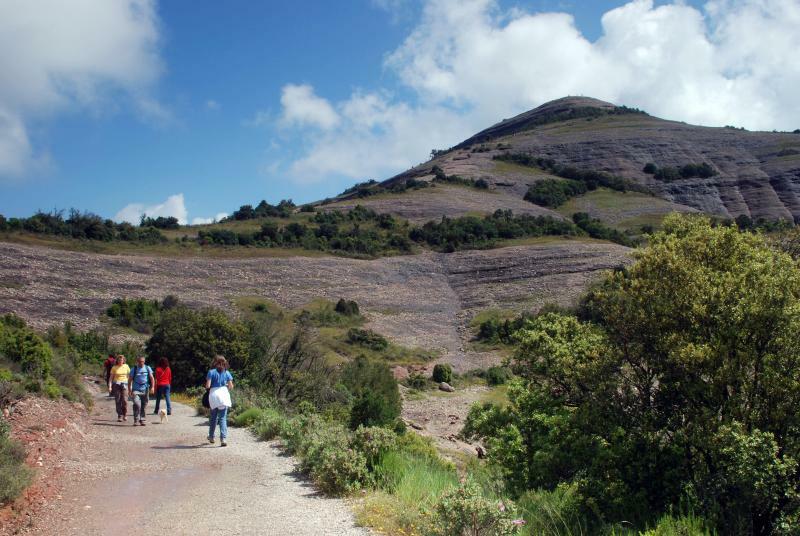 The village of Santes Creus was formed around the grounds of the of the Santes Creus Monastery, a beautiful village to spend your last night inland before you head to the coast tomorrow. Accommodation: 3* Hotel, Santes Creus. Set by the Santes Creus Monastery, historic Labadia de Santes Creus features an extensive garden with a swimming pool. Offering free Wi-Fi, the 18th century country house has impressive panoramic views. The restored house offers stylish rooms with beamed ceilings and traditionally-tiled floors. Each room has a balcony with views, and the bathroom comes with a bathtub and hairdryer. There is a variety of Catalan restaurants within a 5-minute walk. Day 6: Today you stay local and visit the Santes Creus Monastery which came into being in 1160 under the patronage of the Montcada and Cervelló houses and Count Ramon Berenguer IV. On the banks of the River Gaià the monks, who came from the Occitan Abbaye de Grandselve, found the ideal site for building a monastery which, until 1835, would be the centre of one of the largest and most influential monastic domains of the Kingdom of Aragón. 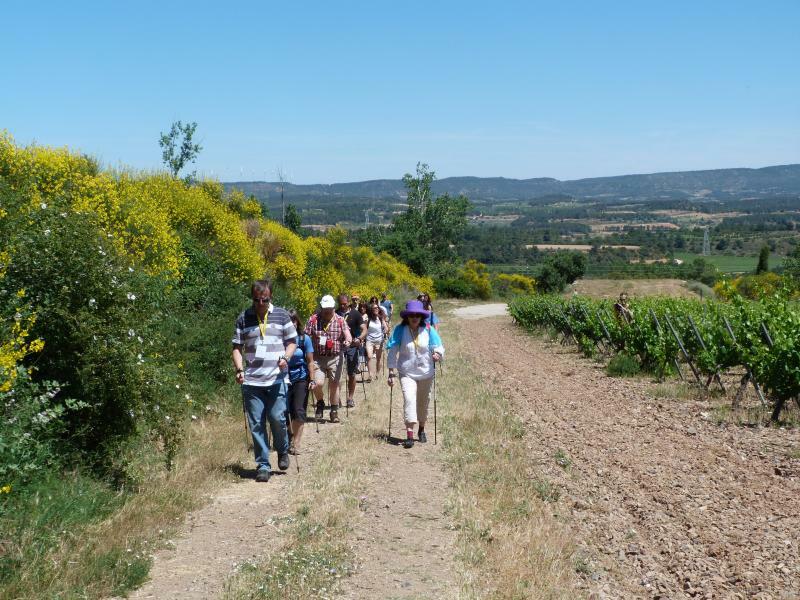 Its history and the Cistercian way of life are described in the audiovisual tour you can take “The Cistercian World”. At an agreed time you will then be transferred to Tarragona for a 2 nights stay in this beautiful historic city. The eternally sunny port city of Tarragona is a fascinating mix of Mediterranean beach life, Roman history and medieval alleyways. Spain’s second-most important Roman site, Tarragona has a wealth of ruins, including a seaside amphitheatre. The town’s medieval heart is one of the most beautifully designed in Spain, its maze of narrow cobbled streets encircled by steep walls and crowned with a splendid cathedral. A lively eating and drinking scene makes for a perfect location for your last two nights. Accommodation: 3* Hotel, Tarragona. With a privileged position enjoying sea views and just 10 minutes’ walk from the historic centre, this modern hotel has a fabulous breakfast and an outdoor swimming pool. Start the day with a great choice of food at the breakfast sitting facing the swimming pool. You can emails friends and keep up-to-date on the free, wireless internet connection. Take the short and pleasant walk down to Tarragona’s beach where you can enjoy beautiful Mediterranean views and golden sands. Day 7: A chance to explore the Roman remains of Tarragona as well as exploring the maze of boutiques in the old town. There are several beaches within walking distance of the town, should you want to dip your toes in the Mediterranean. We provide the arrival transfer on "day 1" from Barcelona El Prat Airport (the main Barcelona Airport), Barcelona Reus Airport or Barcelona City Centre. There are trains every hour from Tarragona back to Barcelona, they take between 35 mins and 1 hr (depending on the train) and cost between €13 and €24 per person. If you are going to Barcelona El Prat Airport (the main Barcelona Airport), once at Barcelona (Barcelona Sants Train Station) you need to take the shuttle train to the airport, they leave every 30 mins, take approx 25 mins and cost approx. €4 per person.